Hoping to capitalize on the well known affection college students have for not actually studying, Microsoft is giving away Xbox 360s with the purchase of Windows 7-equipped PC computers. Before you rush out to the nearest computer vendor, you should probably know that this offer comes with a few caveats. First, the PC must retail for at least $699. Next, you must be able to prove your status as an actual student, either by presenting your student ID to the retailer, or by ordering the computer online via a .edu email account. 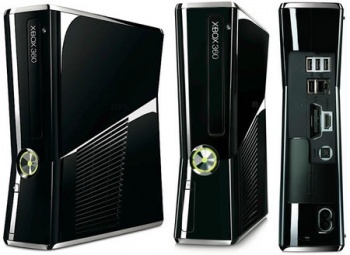 Lastly, and this is the big one, that Xbox 360 you've been salivating over since you read the lede up there isn't one of the fancy 250GB, $300 bundles. Instead the gratis console is a 4GB, $130 model. So far the deal is only available to residents of the United States, but Microsoft claims the promotion will soon extend to France and Canada. Promotions like this aren't at all uncommon, but I am curious as to the intentions behind this PR stunt. Despite Windows PCs being the dominant platform essentially everywhere in America, Apple's computers and laptops have been making serious inroads in recent years, particularly among college students. For the average student spending daddy's cash the choice between a non-descript Dell and a shiny MacBook guaranteed to draw the admiration of one's peers isn't much of a choice at all. Of course, Apple doesn't have a market-leading gaming console, so perhaps Microsoft sees that as its best hope for winning back whatever miniscule chunk of the market Apple snatched up purely by virtue of its social cachet. Regardless of its motivation, this plan would have been a lot more compelling with a 250GB hard drive.